There are so many adventures in Cape Town, it’s hard to count. 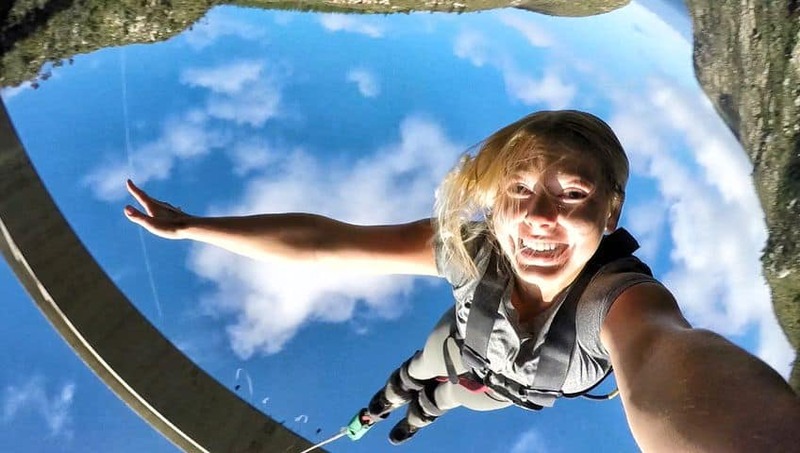 Visitors can choose from every standard adventure sport, such as kiteboarding, surfing, mountain biking, hiking, and skydiving. 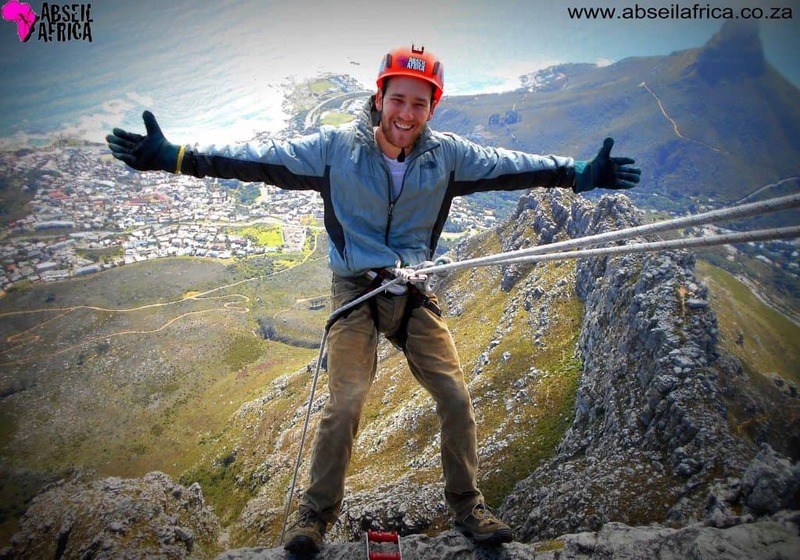 However, for those looking for something different here’s an awesome list of Cape Town adventures that will be sure to give you some thrills. 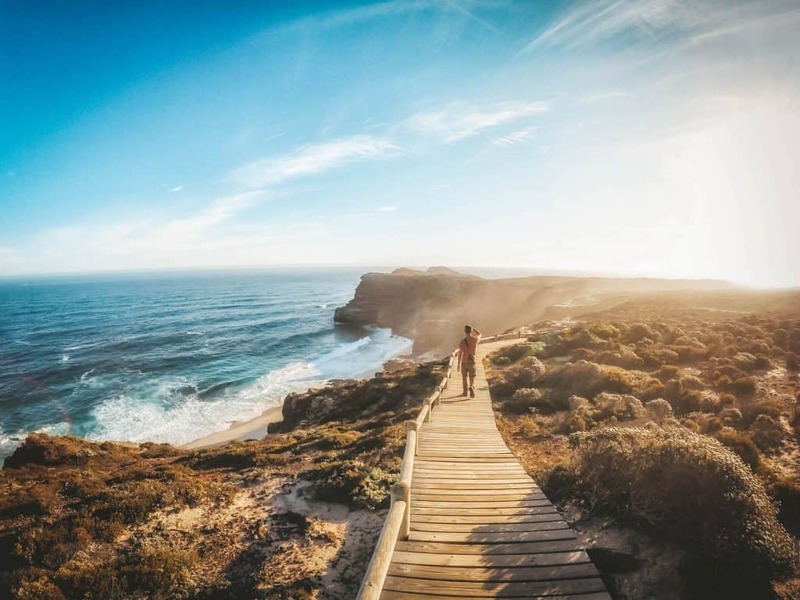 These are all experiences that are unique to Cape Town and you can only find in a few other places around the world. 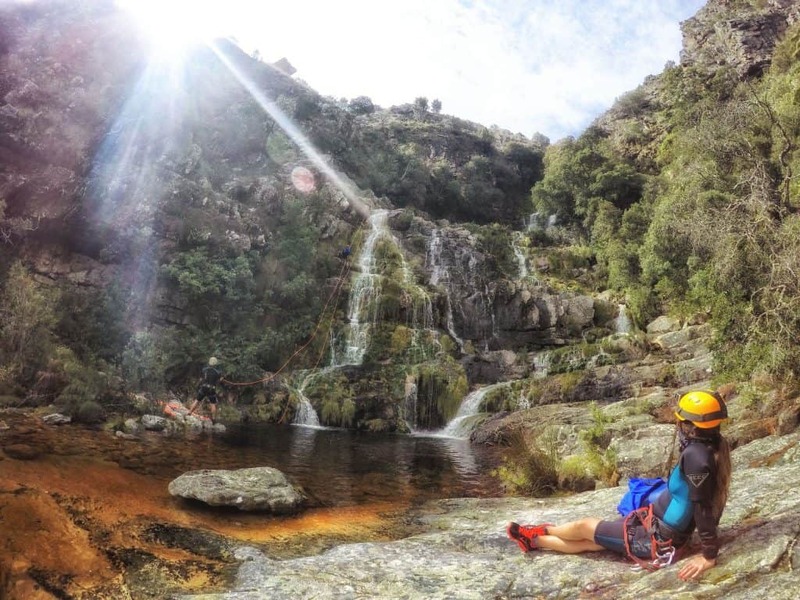 Here’s a roundup of our personal favorite adventures while in the Western Cape. Our tour kept us well fed, warm, had a professional staff, a marine biologist on board, and they made sure to put the client first. They’ve even won several responsible tourism awards – a big deal to us – and are very very very active in the conservation of these incredible animals. They are truly majestic in the water and if you don’t have respect for them before you go then you will certainly walk away changed. The sharks themselves are massive – close to 5m long – and their sheer size is awe-inspiring. However, most shocking of all is how calm things seem in the water as they swim by. 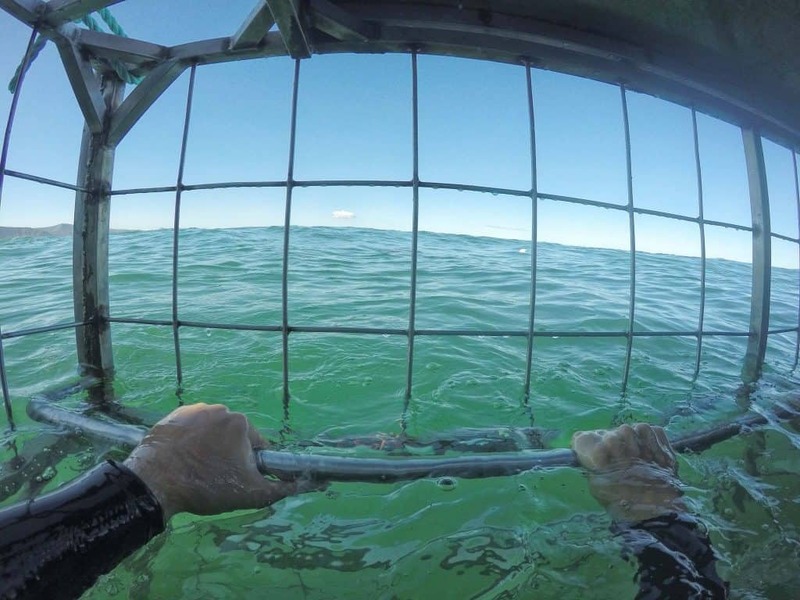 While sitting in the cold ocean water surrounded by a metal cage you can hear the famous soundtrack to jaws playing in your head. 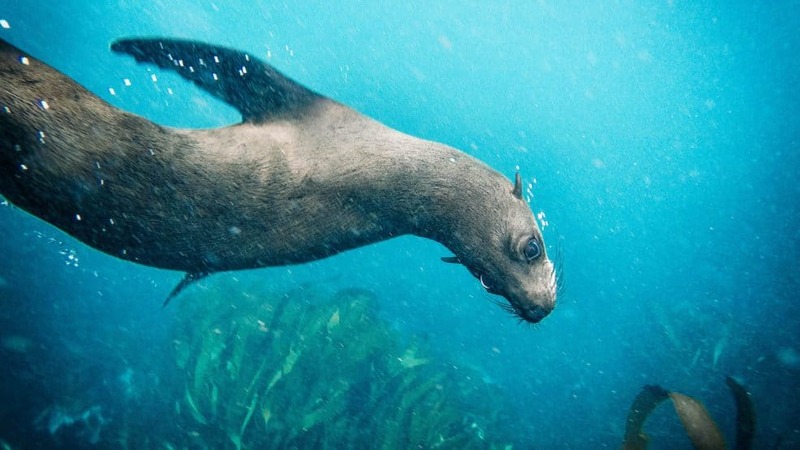 Swimming with Cape Fur Seals is one of the great water adventures in Cape Town. Yea, that’s right in Cape Town you can swim with the real-life plush stuffed animals from your childhood with Cape Town Bucket List. Except, these seals are a heck of a lot bigger, smell pretty bad, and can out swim a boat. I’m finding a new passion and that is spending time in the water. Any marine fan and even divers will love the experience of snorkeling with the seals and having a great adventure in Cape Town. Hout Bay has long offered tourists the chance to take a big boat out to a small island just outside the harbor where 15,000 Cape Fur Seals reside. However, the brave can now jump into the chilly waters of the Atlantic and go swimming with the furry animals! We’re really happy to report that we had a stellar experience with all of these tour providers. Yes, all of the adventure activities are a tad bit dangerous, if handled improperly. However, at no point did we ever feel we were in danger with anyone. All of the providers we recommend were outstanding and professional. Please remember that all of these activities, excluding bungee jumping, are weather dependent. 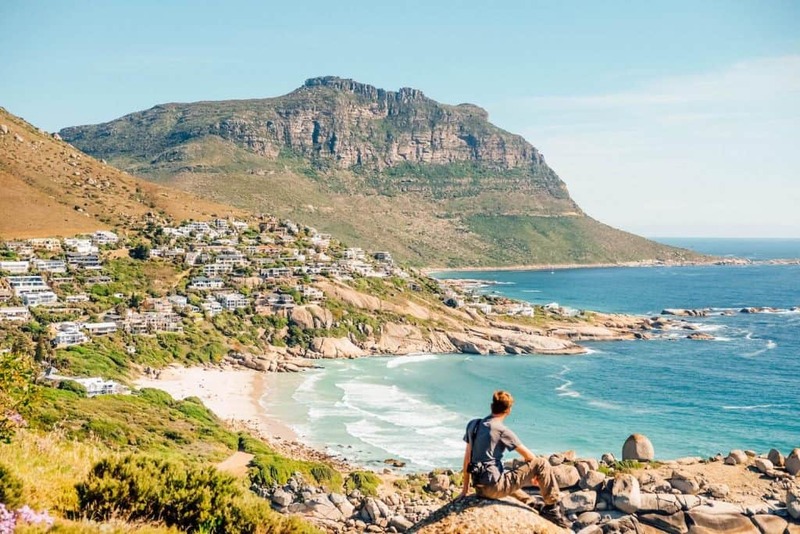 We’ve given a full tour of Cape Town and have a number of great places we can recommend staying from luxury to budget. It all really comes down to what you’re looking for. With a full day, you need accessibility, high-speed internet, a quality night’s rest, and some good food. After a long day of adventure sports, we aren’t always in the mood for the party atmosphere of a hostel or the work involved in a self-catering apartment. Cape Town has some fabulous Airbnb’s to choose from. We stayed at many around the city and it makes us feel more at home when we are abroad. You can check out some tips and read more about getting an Airbnb coupon code here. Or just take this coupon for your first stay!